SoapRISING is the name of A Wild Soap Bar’s charity soap. SoapRISING was designed to bring awareness to the current issues affecting the world. The SoapRISING series currently consists of soaps with names like End the Fed, Feed America, Give Me Liberty and Teach Peace. The collection also includes a gift box – you choose which two soaps you like best. End the Fed is a “purifying, charcoal enriched soap, scented with a refreshing lemon eucalyptus essential oil blend”. The soap is an excellent acne fighter, but it can be used on all skin types. 10% from the sale of every bar goes to End the Fed, a peaceful grassroots organization that speaks out against the Federal Reserve Bank and corruption. 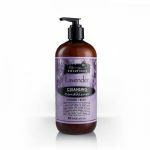 Ingredients include: saponified cold pressed olive, coconut, organic palm, sunflower, and castor oils, distilled water, pumice, activated charcoal, essential oils (lemon eucalyptus, lavandin – a hybrid lavender, tea tree, cedarwood, bay) and sea salt. Feed America is an unscented soap that contains oats, rice and wheat for their exfoliating properties. 10% from the sale of every bar goes to Feeding America. Feeding America is the nation’s leading domestic hunger-relief charity. Feeding America’s mission is to feed America’s hungry through a nationwide network of member food banks. 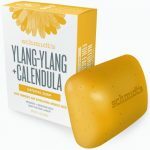 In addition to certified organic oats, rice and wheat, this face and body soap is made with saponified cold pressed olive, coconut, organic palm, sunflower, and castor oils, distilled water and a salt. Give Me Liberty Soap is a scented face and body bar that contains a blend of lavender and mint essential oils. It is safe for all skin types. 10% from the sale of every liberty bar will be donated to Campaign for Liberty. The campaign promotes “respect for the Constitution, the rule of law, individual liberty, sound money and a peaceful non-interventionist foreign policy”. Give Me Liberty soap contains the following ingredients: saponified cold pressed olive, coconut, organic palm, sunflower and castor oils, distilled water, calcium bentonite clay, essential oils (lavandin, cornmint, patchouli) and black iron oxide. Teach Peace Soap is a face and body bar that contains an “exotic vetiver essential oil blend”. Teach Peace Soap benefits the Teach Peace Foundation, which is a non-profit organization “that promotes worldwide education for a more peaceful and just world”. A Wild Soap Bar donates 10% from the sale of every bar to TPF. Teach Peace soap is made with saponified cold pressed olive, coconut, organic palm, sunflower, and castor oils, distilled water, calcium bentonite clay, essential oils (patchouli, bergamot, ylang ylang, cassia, vetiver, lavandin) sea salt, ultramarine blue and black iron oxide. 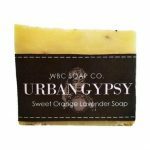 SoapRISING soaps, along with all other A Wild Soap Bar products, can be purchased online through the official website at: www.AWildSoapBar.com, or at any of the retailers listed at the end of this article. Note: A portion of the company’s profits are donated each year to the Lady Bird Johnson Wildflower Center and United Plant Savers. 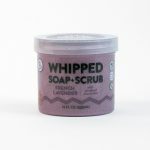 You can find out which stores in your area carry A Wild Soap bar products by browsing through the list of states and stores at the end of this article. A Wild Soap Bar’s mission “is to provide you with truly natural products made with real ingredients that are safe for all living things and a joy to use, while raising awareness of the many benefits of using responsibly wildcrafted and organically grown botanicals”. 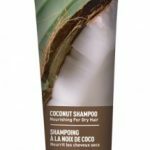 A Wild Soap Bar products do not contain synthetic fragrance oils, preservatives, petroleum products, FD and C colorants or dyes, parabens, phthalates, sodium lauryl or laureth sulfates, antibacterial triclosan, TEA or other harmful chemicals. The company only uses sustainable organic palm oil in all soap recipes, so it does not contribute to the depletion of the rainforest. A Wild Soap Bar bears the Green American Symbol, meaning it is “Approved for People and Planet”. A Wild Soap Bar sells natural soaps, bath accessories, natural laundry soap, soap for teeth, soap for men, soap for babies, body balms, shampoos and balms for dogs and marble magnets. Soaps are the company’s top seller, of course and they come in all shapes and sizes. A Wild Soap scents include: cedarwood, sage, horsemint, pear, pine tar, passionflower, grape, mesquite, sunflower, wild carrot, wild weeds, sassafras, wildflower, yaupon tea, yucca root and honey oat fragrance free. 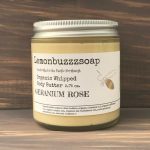 A Wild Soap Bar can custom make soaps as well, made from your favorite indigenous plant that can be purchased in dried, powdered, or liquid form. A Wild Soap Bar can incorporate it into your new soap. Source: A Wild Soap Bar, www.AWildSoapBar.com.